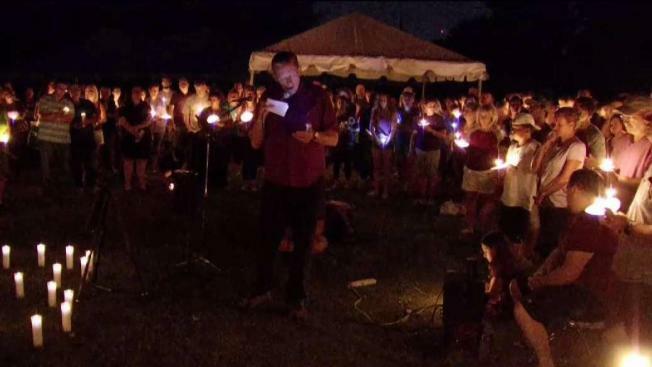 On Sunday more than 100 people gathered for a candlelight vigil for a mother who police say was shot and killed in her home in Newington last week. People arrived at Mill Pond Park wearing purple, which was Patricia Torbicki’s favorite color. Torbicki was remembered as a proud mother. “She was lively. She was funny. And she really loves her son a lot and she was always a big supporter of everything he did,” Barbara Soucy of New Britain, said. This was a chance to hold onto memories of how the 46-year-old lived her life, not how she left. Police say a neighbor found Torbicki lying in the doorway of her home on Gilbert Road appearing lifeless on Thursday morning. Investigators discovered she had died after being shot in her head and lower extremities. Her death was ruled a homicide. At the vigil loved ones were stunned by her sudden passing. Her co-workers at a union in Hartford say the office will not be the same. “Real nice person. We don’t know how we are going to function on the job not seeing her tomorrow. It’s sad,” Monica Harris, a co-worker, said. And members and leaders at Mill Pond Church recalled her devotion to faith. “She had been singing in our praise team, teaching the kids, much loved and will be greatly missed,” Joel Rissinger, Mill Pond Church pastor, said. Officers say her husband, 45-year-old Michael Torbicki, was seriously hurt and is considered a suspect. He was taken into custody hours an hours-long standoff with police. Newington police have not yet provided updates on his condition or the case.